It's that time of year again peeps! 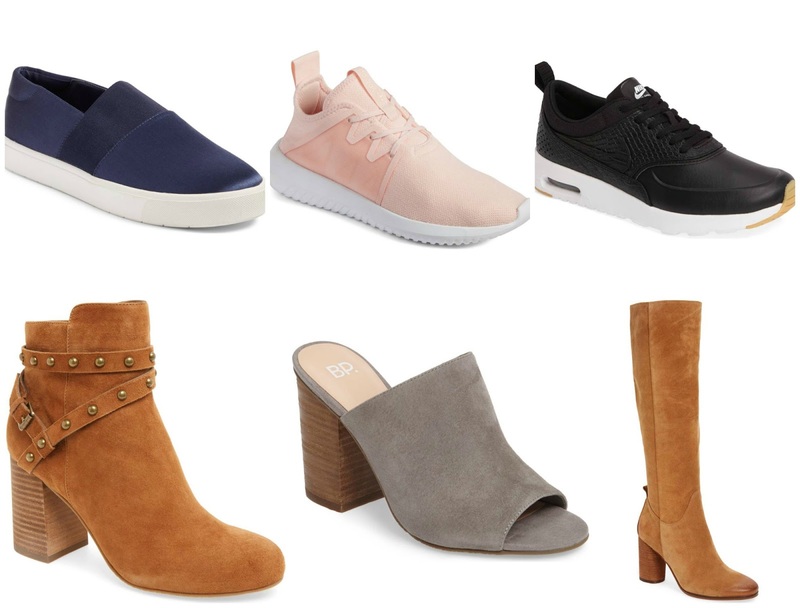 Time to shop the Nordstrom Anniversary Sale and boy is it back and better than ever. I mayyyy have gotten up at 3am to shop and start picking out my favorites (and also writing this blog post). So I hope you enjoy it and find it helpful. There is a LOT to get through. 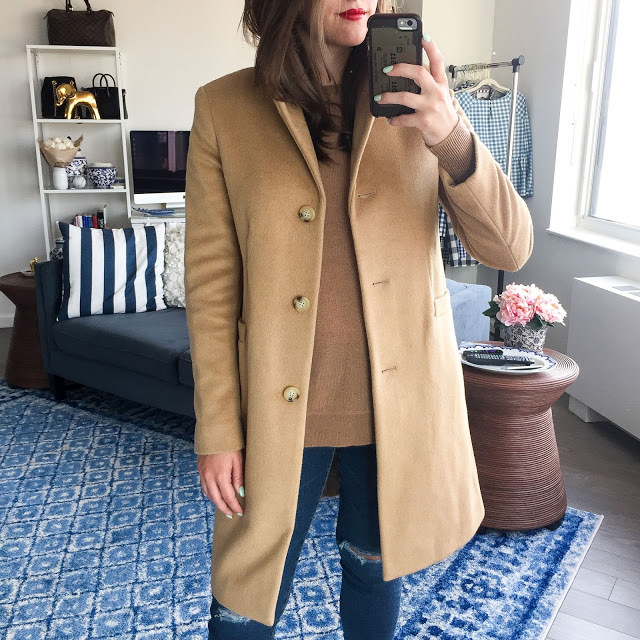 First off my favorite purchase from last year (the Ralph Lauren coat from above) is BACK IN STOCK and ON SALE. Guys guys guys literally my holy grail jacket. I love it so much I might need to buy the other colors. See my review of it from last year HERE. There are actually a lot of things I already own in the sale so I'll post more about that later. So without further adieu.. here are my favorite things (and some items I bought) from the Nordstrom sale so far!! Zella Pace Tank / Live in High Waist Leggings (also love these knock out Leggings): I have a serious sweet spot for Zella so when they go on sale, I stock up. Hoping this will reenergize my workouts. Heavy Duty Sports Bra: I've been reaalllllyyyy needed a good sports bra for a bigger chest and I'm hoping this will be the answer to my prayers! Circle Cardigan / Black Joggers: I need more lounge clothes especially for fall (most of my things are shorts) and these just looked too soft not to get! Tory Burch Quilted Tote: I'm not as much a Tory Burch lover as I once was but mannnnnn is this bag cute. I love that it's so different and suede and quilted. Would be great for carrying my computer to and from work. Excited to see how I like it in real life! Natori Contour Bra: My favorite bra is on sale!!! BUY BUY BUY! Navy Vince Slip Ons: I LOVE my Vince slip on sneakers (seriously maybe over wear them) so I wanted to at least try these ones out. I'm a litttttle nervy that they are stain but the navy color of course got me. I will report back! Pink Adidas Sneakers: I've been hunting down a fun new pair of sneakers to buy like woah and I really love how cool these are. Pulled the trigger and will see if I can actually pull them off or not! Nike Air Max Thea: My Theas are my favorite pair of Nikes I own and I've never known them to go on sale. It's a nice little steal! Studded Booties: These look pretty similar to a really (really) expensive designer pair and you cannot go wrong with a cognac bootie for fall! More Slides: I love my slide heels so much I'm hoping these are just as comfortable!! Sam Edelman Heeled Boots: Another thing I remember I've needed (for like years) is a good pair of tall and heeled boots. I wanted them to be leather over suede but it doesn't hurt to try! White Nike Running Shoes: Another really fun pair of Nike's on sale that you don't want to miss. Topshop Ruffle Crop Jacket: Thought this would be a really cute way to accessorize an otherwise boring outfit. Jeans, booties, tank and this jacket! J. Crew Plaid Blazer / Regent Blazer - My favorite J. 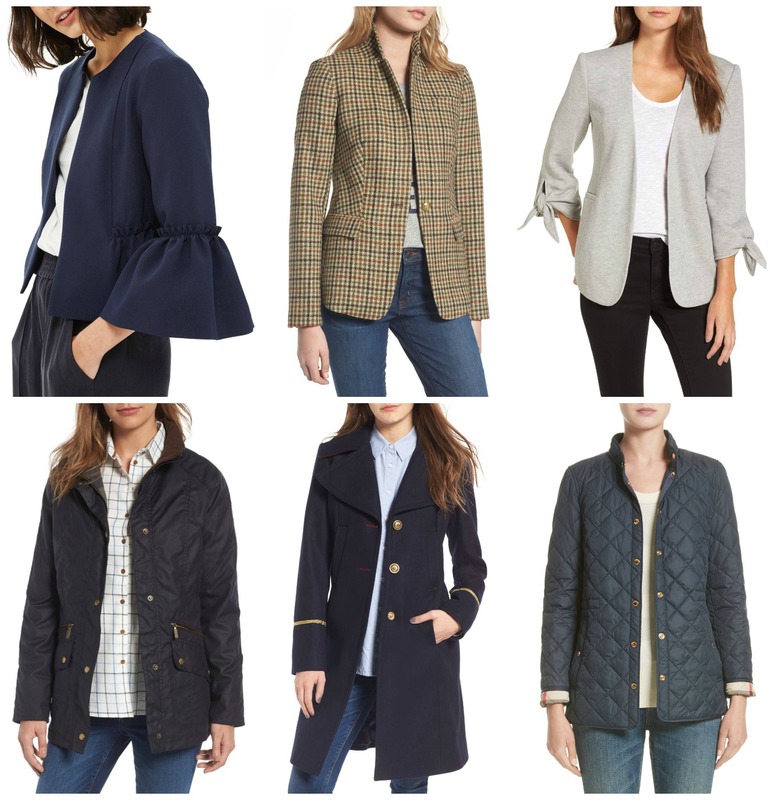 Crew blazers are the regent blazer (see me style it HERE and HERE for fit reference) so I was ecstatic to see them on sale!! Grey Tie Blazer: Ok I'm actually the MOST excited about this blazer. It's SO affordable and if it fits the way it looks online, it's going to be soooooo perfect for work. Sam Edelman Military Jacket: I love how different this is and surprisingly I don't have a navy coat so I decided to try this one out!! Burberry Quilted Jacket: Burberry on sale is always a good idea. I need this jacket like I need a hole in my head so if someone else could get it and enjoy that would be awesome. Eliza J Short Sleeve Fit and Flare / Eliza J Long Sleeve Fit and Flare: Eliza J dresses are my favorite work dresses out there and these both would be perfect for the office. I ended up buying THIS one but I might go back for the other! Ruffle T-shirt Dress: Though this would be a really good transition dress that you can wear now and wear later! Scallop Shift Dress: I'm just a sucker for anything scallop. AG Jeans Step Hem / Raw Hem: My favorite jeans ALL time are AG so you already know I have these and love them. You will too, promise! Bow Neck Top: I can't say no to a white shirt with a big bow on it! I'm hoping it will look more expensive than it is. Nothing worst than a cheap looking top! 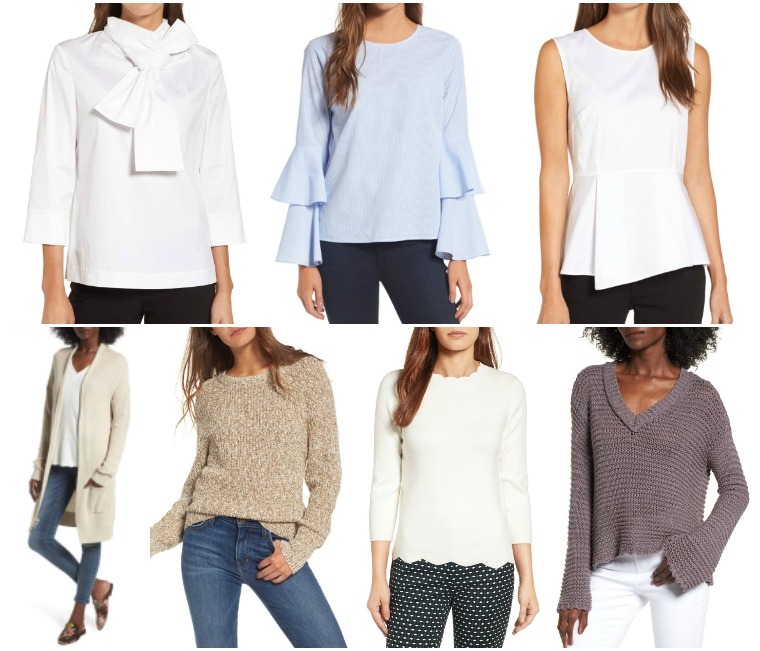 White Peplum Top: This is going to be such a good staple for work! Planning on pairing it with the couple of skirts I got! BP Open Cardigan: More cardigans always. Especially to work or traveling, I LOVE wearing open cardigans like this. They are so easy to throw on or off depending on how you're feeling. Free People Pullover: Gotta stock up on all the sweaters! Sweaters paired with shorts is one of my favorite looks!! O'Neill Sweater: I've never gotten anything from O'Neill before but this sweater just looks so cute (mainly in this color) I couldn't really pass it up! Strivectin Neck Cream: I had a mini test size of this a couple months back and LOVED it. We need to take better care of our necks people! But it's just so expensive. Thought I would bite the bullet and get it while it's on sale (now or never). Charlotte Tilbury Bronze and Glow Duo: I've been wanting this for a long time with a never real "need" for it so the sale was just the push I needed and now it will finally be mine! CT Mini Skin Care Set: I have the magic cream and the under eye rescue and can vouch for how amazing they are. It's such a good deal -- this little set -- and the perfect way to get introduced to her skin care line. Whew! And that's it. LOTS of good stuff, a lot of unexpected buys but really excited to try them on and give you guys some reviews! What are your favorite picks? ?